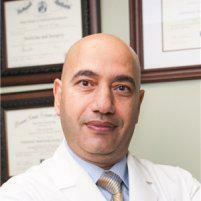 Dr. Mohamed Esiely always appreciates feedback from his valued patients. To date, we’re thrilled to have collected 28 reviews with an average rating of 4.89 out of 5 stars. Please read what others are saying about Dr. Mohamed Esiely below, and as always, we would love to collect your feedback. He's the best! Been going to him for years amazing Dr! To begin, my original gyno retired, so i was recommended to try dr.eisely...I really like dr.eisely..he is very easy to talk to, and does what he can to make you feel comfortable..he smiles easily and has a very humble approach..dr.eisely explains everything in a easy to understand manner..I find him to be very accommodating..I like his handshake too. not all weak or as if he doesn't want to touch your hand...after he gave me my test results, we slapped each other five in approval, and we laughed together...I left feeling very pleased with him..he feels like a old friend that I'm so glad to see...i really, really like dr.eisely..
Everyone that works there is wonderful and super easy to communicate with. I’ve never come across a an office so efficient over the phone. The staff was so friendly and personable. The doctor is warm and pleasant and took his time to address my questions and provide guidance. I never felt rushed or condescended to. I was surprised that the doctor didn’t give me an ultrasound despite having the latest equipment available in the office (in my exam room). Instead, I was given a prescription to take to a radiology office or the option to schedule a separate visit. However, they only offer appointments with ultrasounds on Wednesdays from 11AM to 2:45PM unless it is for an emergency. Given that I was being treated for a follow-up on the likely miscarriage of a chemical pregnancy, I assumed an ultrasound would be a part of my examination. I (perhaps wrongly?) assumed that ultrasounds are available on-premise with an OBGYN as needed? It’s unclear to me whether I have the wrong expectations but this an area I will definitely consider in my future criteria. I would definitely recommend this practice to others and am relieved to have received good care. Great clinic and doctor! I have good experience. This is the best GYN I have been too. Very clean and his staff are nice. Warm embracing feeling entering his office. Dr Esiely is very friendly and approachable. Very less wait time at clinic, Would definitely recommend..
Dr Esiely is the absolute best! He delivered my baby and has continued as my OB ever since. The doctor and staffs were very welcoming and made me comfortable. Test has done very quickly and I was told that I was getting the result in few days, very efficient! Wise woman health is a very good company. Dr.Esiley delivered my first child and has been my OB from then on.